Friendly, courteous and professional DJs for weddings, kids parties, family gatherings and corporate events. Five-star ratings from events throughout Maryland, Virginia and Washington DC. Working with Steven was amazing! He was professional from the start and really took the time to chat about what we were looking for in a DJ for our event so he could provide the best service possible. He did a great job at the event and I would not hesitate to work with him again and recommend him to others! Thanks Megan! The staff and kids at the center were great! I look forward to working with you again at your next event in the area. Steven was outstanding!! Went above & beyond & then some!! We were extremely pleased with Steven playing the mandolin at the beginning of our ceremony. He then kept the show going & kept us on our timeline! He even took photographs for us since we didn’t have a photographer. Will definitely call Steven again for our next event!! Capital DeeJays is the best DJ and emcee I have ever worked with. He entertained a crowd of 200-300 people at an outdoor community event for us and was engaging for the full 2 hours. Would highly recommend and will be working with him again. Steve was fantastic for our fundraising gala. He purchased music to fit the Great Gatsby theme and was always very receptive to making sound adjustments, changing the music style to fit the mood of the evening and adjusting the speakers/microphones for the program. We had our first Thriving After 60 Dance, held for our members 60 years and older. 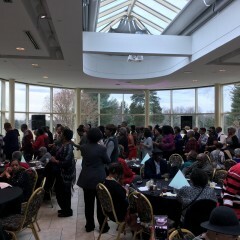 The crowd was dancing and having a wonderful time! The line dances were so popular, and everyone said that our DJ really read the crowd and knew what they'd want to hear. Thank you so much for making our first event of the season such a success!! 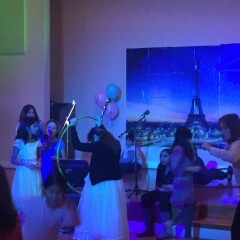 Great w/ Tweens at my Daughter's 10th Birthday! I hired Steve to entertain my daughter and her friends at her 10th Birthday party. Of all those who responded to me on GigSalad, Steve had the best follow-up. Even before I booked him, he was offering guidance on locations, party ideas, games and entertainment. He was easy to work with and uses up to date technology, making it easy to share s Spotify playlist that my daughter made withher favorite songs. He arrived early, dressed to the theme of the party, and was smiling and helpful throughout. 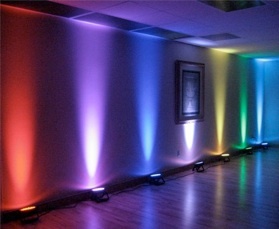 He set-up lights throughout the party room, which really madethe ambiance special. He also arranged Karaoke, and brought props for the kids to use during games. Steve is great and I highly recommend hiring him for your event. We had Steven DeeJay for our wedding. He ran sound for our ceremony, and reception (mics, music, lights, he did it all), and everything came together seemingly like magic. From step one he was extremely easy to work with. Making playlists and sharing them with him was simple. He was very flexible and open to meeting and discussing what we wanted for the different parts of our reception (cocktail, dinner, dancing). His setup at the event was perfect, and transitions between the different parts seamless. The best part wasn’t just that the music and mood came together perfectly, but that he regularly checked in with us throughout the process and made sure everything was running smoothly, working with us and the venue the whole night, even offering to grab me a beer during pictures! He was a huge help and major stress relief during the whole process. The event would not have been the same with him. I would highly recommend Capital DeeJays for weddings, and any other DeeJay needs. 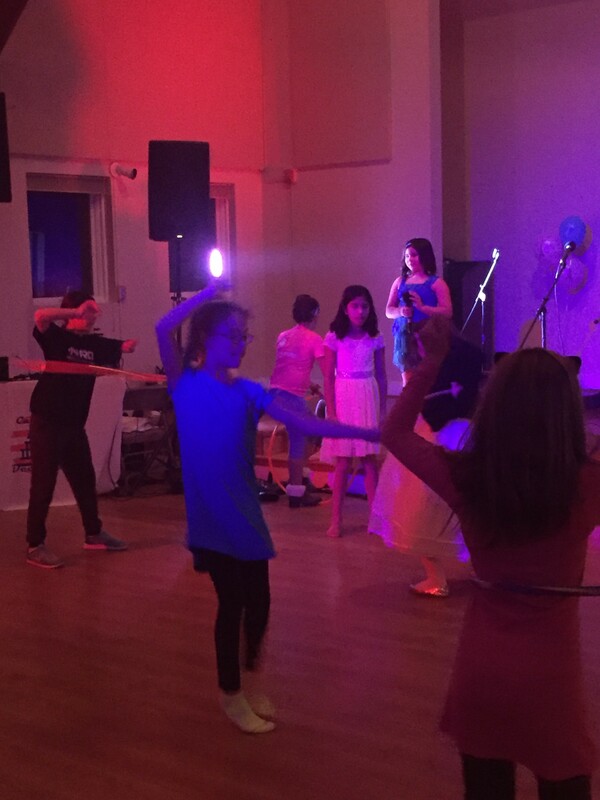 I hired capital dj's for my daughter 10th birthday. The DJ was very helpful with planning and set up. He played games with the children to keep the party going. I will definitely hire him again. Thanks Candace -- the kids were great! 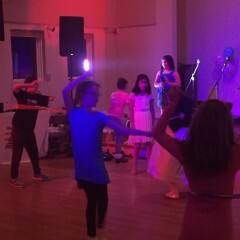 Glad your daughter had a great time at her party. Hope to work with you again soon. Steven DJ'd a Halloween party for 75 senior citizens. He played music, helped with costume judging, danced, played trivia and a guessing game. Steven is quick and adept at "switching gears" and is full of energy. Highly recommended! Steven played at our wedding last week and he was amazing. He DJ'ed our reception, played guitar during cocktail hour, and his Irish trio performed during our ceremony. Everything was perfect. He was so accommodating and flexible and knowledgeable. I loved being able to provide my own playlist for dancing, and loved that he could fill in and suggest songs for when I didn't know what would work best. He was also a great emcee, announcing our entrance and first dance and all the rest. During the lead up to the wedding, he was always easy to get in touch with and quick to respond. He even DJ'ed an extra hour for us when I decided the morning of the wedding that I wanted the reception to go a little later. 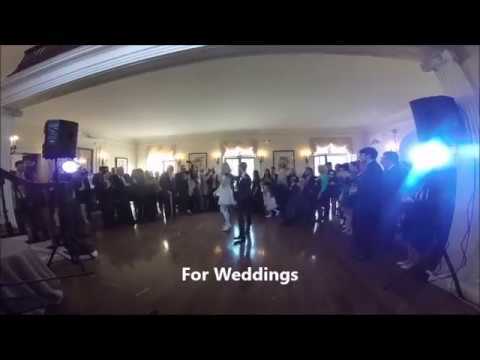 Whether you need ceremony musicians or a DJ, Steven is your guy. I can't recommend him enough! Great experience, wonderful variety of music and he even helped with the aesthetics by bringing lighting for our outside event. Took the time to tour the event site and get a sense of my music likes and flow. Very personable and entertaining. Steve was great. He was on time and set up prior to the event. He engaged the children with limbo and had them sing along on the mic. He also had great adult music and engaged the adults. I would recommend steve for any type of event and use him again myself! Insurance: $1,000,000 - Event insurance available upon request. it all starts with a phone conversation - we prefer the personal touch that's just not possible via email and message boards. We insist on having a 100% understanding of your ideal event (in terms of music and budget), which we can only obtain by actually talking to our clients in person or over the phone. Once hired, you'll get friendly, personal and professional service. You can call, text or email any time and you'll get an immediate response. We always like to meet with our clients in person before the event, so you can be confident about who's providing the music for your event. We review every detail with you in advance - from the moment we arrive until the event is completely over, so there are no surprises. We give you the opportunity to build your own custom playlist, or just give us guidance about your musical preferences. We arrive on time, every time, with enough time to set up and be ready to go. We engage with your guests only if you want us to. 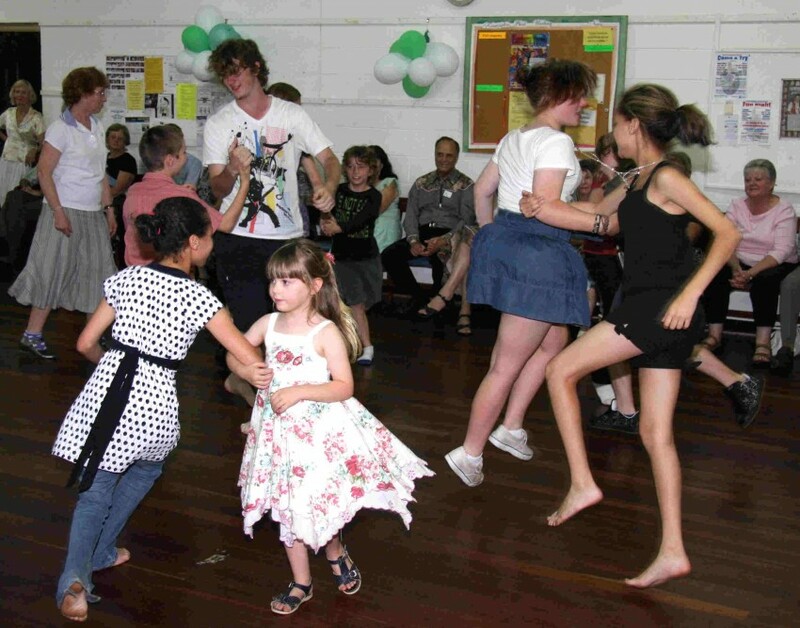 If desired, we can help get people on their feet out on the dance floor. Or, we can simply play the music you want, without getting in the way of your big event. 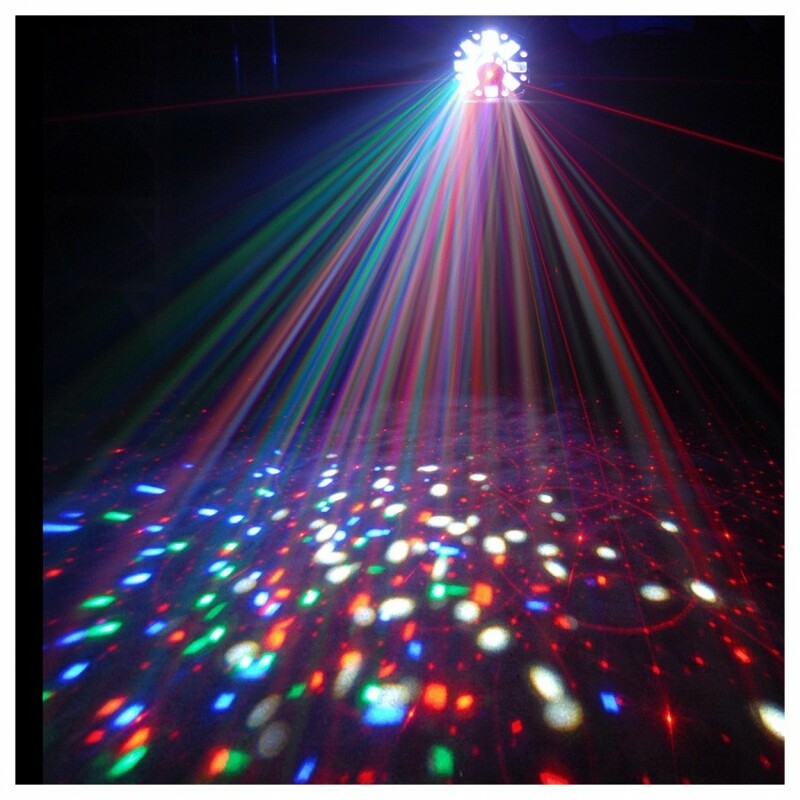 We can provide accent lighting to match your color palette, and dance lighting to help set the stage for your guests to have a great time. We can make announcements throughout your event -- announcing the bride and groom, first dance, toast, cake cutting and whatever you'd like. We have professional sound equipment - two systems in fact, so we can set up at multiple locations for your ceremony, cocktail hour and/or reception. 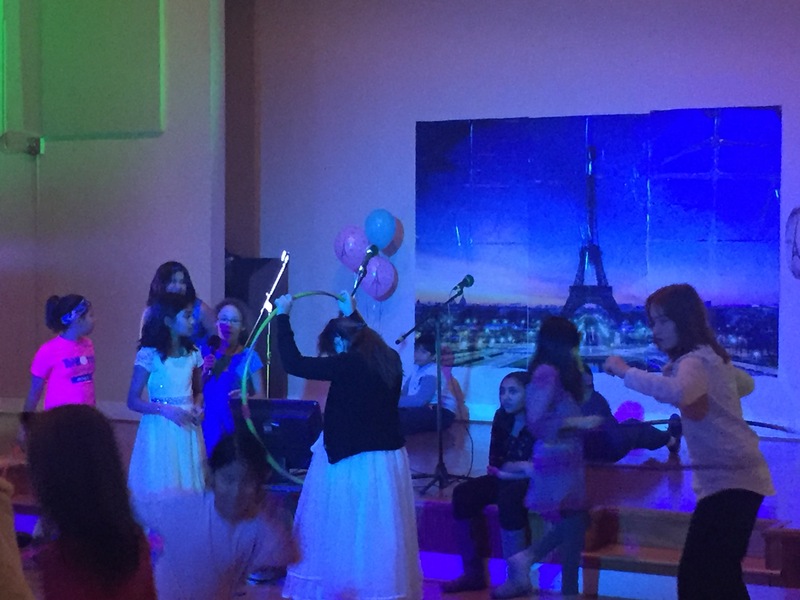 We can also provide live music for your event - acoustic ceremony music on violin, flute, guitar and/or mandolin, and male or female vocals, and provide acoustic covers for your cocktail hour. Our first DJ job was in 1986. Since then, we've pleased clients ranging from the smallest private gathering to events with thousands in attendance. 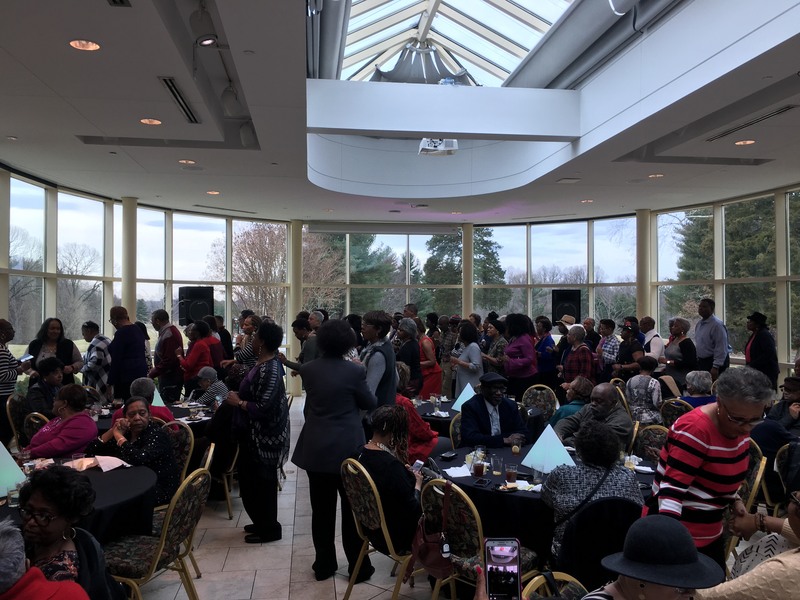 We serve all of Virginia, West Virginia, Maryland, Washington DC, Pennsylvania, New Jersey and Delaware with the best music, lighting MC services and professional experience. * Or any combination thereof. With our live music offering, you can choose a single vendor to provide live music for part of your event, such as your wedding ceremony/cocktail hour, and have us DJ your reception. Ask about our live music options, or if you're set on DJ-only services, no problem! We're happy to accommodate whatever best suits your event preferences when it comes to the music. Steven O'Toole started Capital DeeJays out of his love of music. He has managed events of all sizes from New York to North Carolina for more than 30 years. He's the father of four boys, age 13-20, and he's been involved with numerous youth organizations since 1988. Steven has been a scout leader, baseball and basketball coach, robotics judge, church lector and sound engineer for his parish choir. He's an active musician, with more than 60 live performances in 2016, including 3 weeks at the Kennedy Center for the Performing Arts. If electrical power is available, we prefer to be located nearby without extension cords crossing areas used for foot traffic. Otherwise, we have our own generator we can bring. For outdoor events, we prefer some cover from the elements - hot sun or precipitation. We can bring our own DJ table or use one at your venue. We provide all of our own equipment.